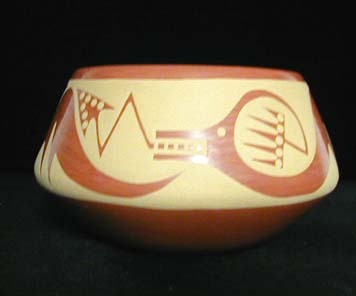 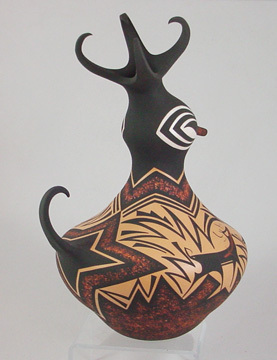 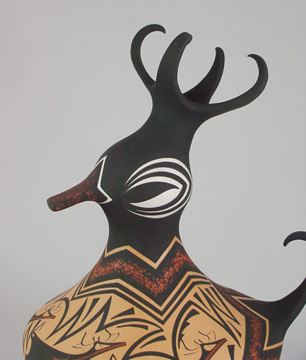 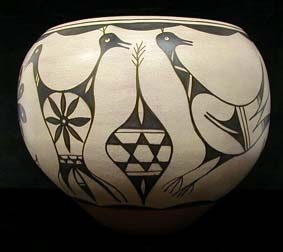 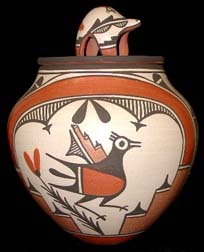 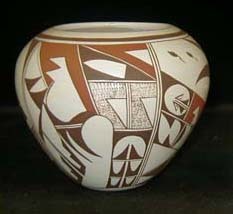 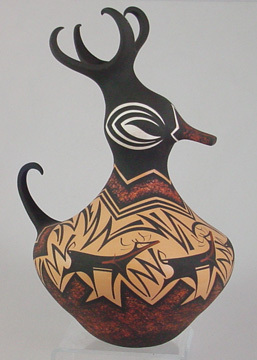 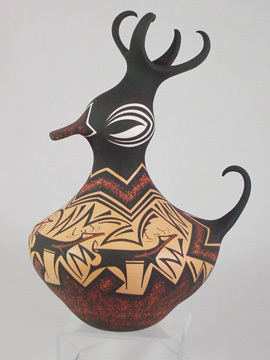 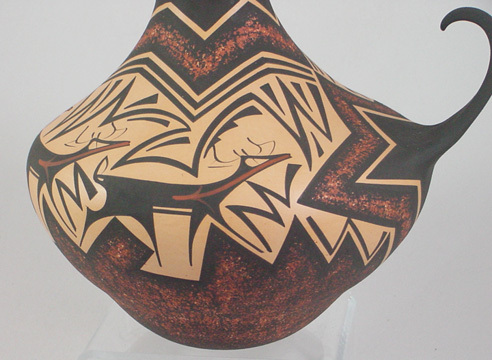 This is a large duck effigy pottery created by Anderson Peynetsa of the Zuni pueblo. 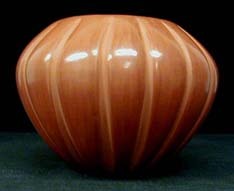 It measures 13 inches tall by 10 inches long by 8 1/2 inches wide. 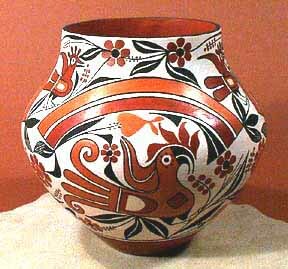 The colors on this piece are absolutely stunning. 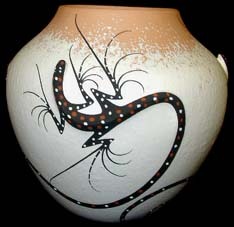 Note the head with the delicate and large crest, and the tail! 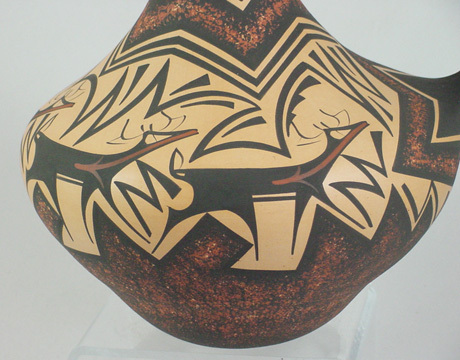 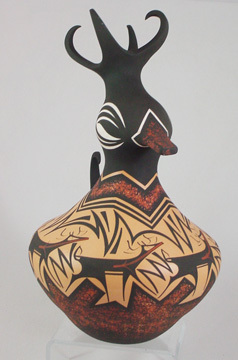 Note that the outside of the pottery also contains the deer in the house design along various other geometrics.